An exhibition piece depicting a field of tulips. 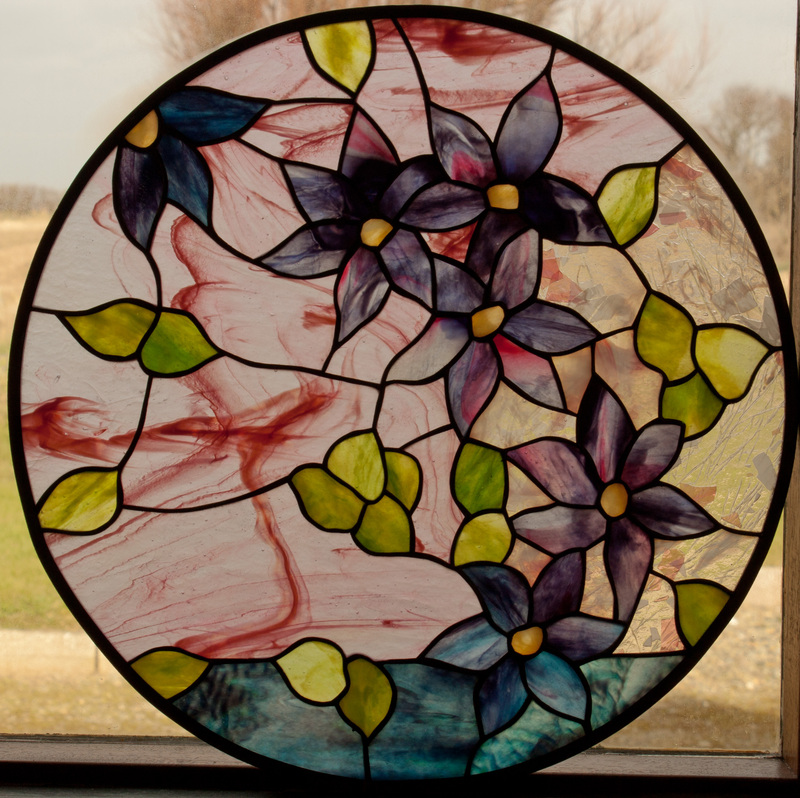 This piece of stained glass is purely imaginative. The possibility of finding a field of tulips growing in Ireland during mid January is pretty slim. David worked with straight lines when designing the border, “I don’t normally do straight lines, but it sort of works here”. An exhibition piece. 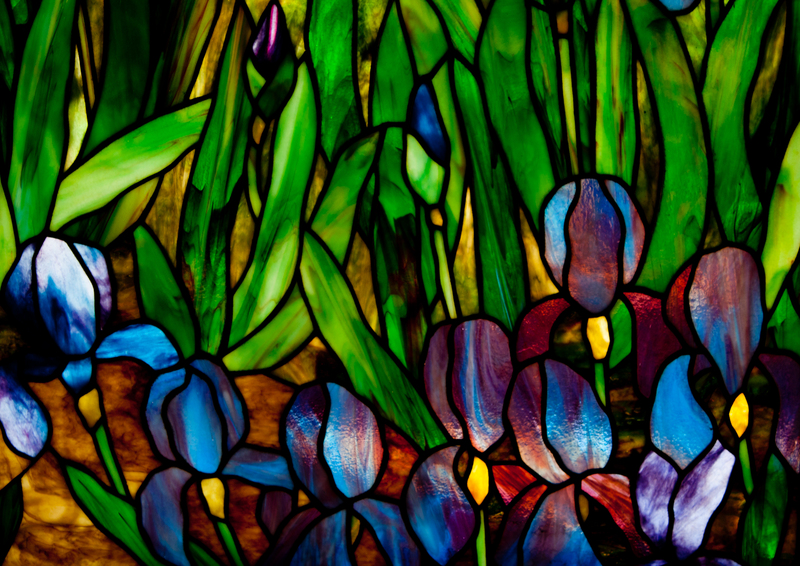 David drew inspiration for this piece from the colours and textures in the stained glass. 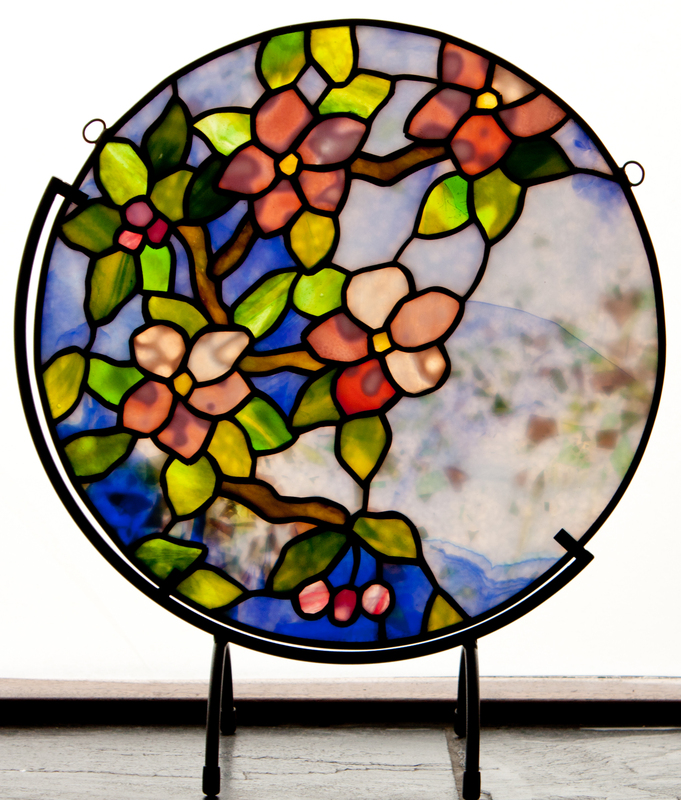 The design was kept fairly simple, all handmade Youghiogheny Art Glass sourced in Pennsylvania used throughout this piece.